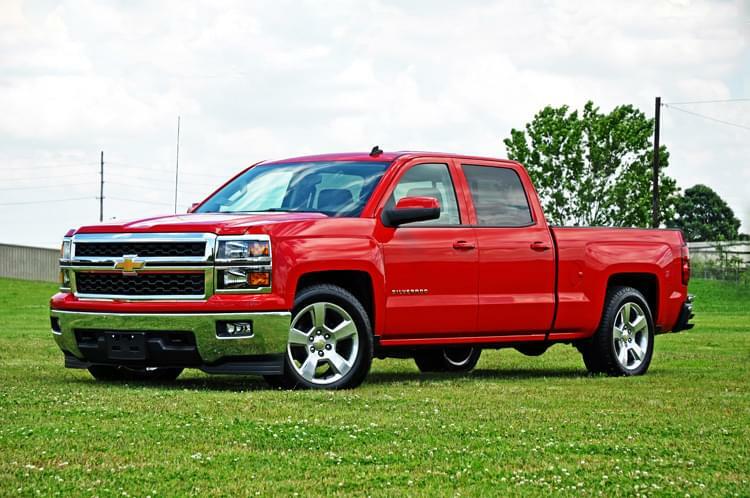 If you want to easily transform the look of your truck: look no further than Rough Countrys 2in / 4in Lowering Kit w/ N3 Shocks for 2014+ GM 1500 2WD pickups. Our easy-to-install Lowering Kit is a total transformation: offering a sleek: modern look while supplementing the rear suspension! 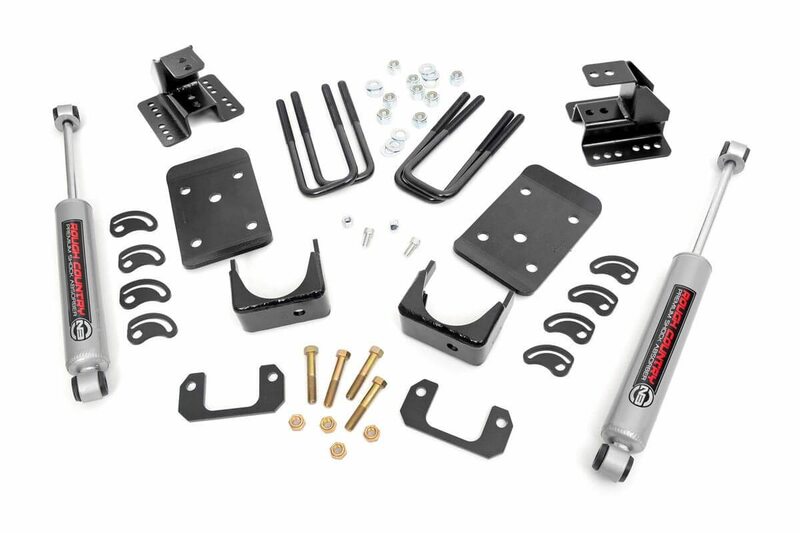 Unlike most lowering kits: This package includes a set of rear N3 Shocks for a smooth: balanced ride - meaning an upgrade to both the look AND feel of your vehicle: all at an incredible price.A set of plate steel front lowering spacers with Grade 9 Hardware and hardened washers offer plenty of strength and durability to drop the ride height of your truck by 2in in the front and 4in in the rear: offering a sleek: level drop while keeping other crucial components in line. Drops the front 2-inches and the rear 4-inches for a level drop. Rear drop is adjustable between 4-inches and 4.5-inches. Includes Grade 9 hardware and hardened washers.